Quadruple studio - suitable for up to 4 people. Thanks to the light and modern interior design, each guest will feel at home here. Comfortable and fully equipped to answer the daily needs of guests. 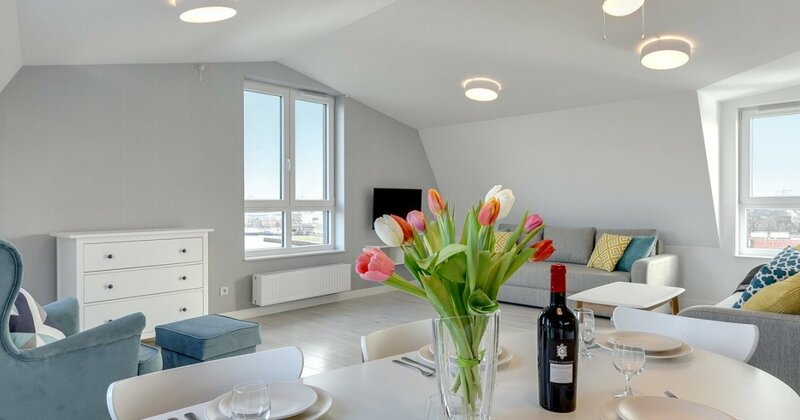 The apartment consists of: a comfortable living area with a kitchenette, a dining table with chairs and a sofa bed, a sleeping area with a double bed and a bathroom with a toilet and a shower.